Kerry, speaking after talks with Lavrov and NATO colleagues in Brussels, also backed away from earlier comments suggesting he was calling for increased NATO contingency planning on Syria. Kerry said he and Lavrov had discussed ways to revive a peace plan agreed in Geneva last June that called for a transitional government. 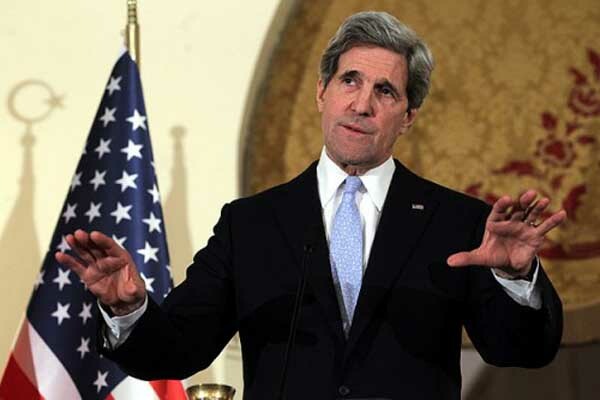 "We are both going to go back, we are going to explore those possibilities, and we are going to talk again about if any of those other avenues could conceivably be pursued," Kerry said. But, he stressed: "I would say to you that it's a very difficult road ... No one should think there is an easy way to move forward on this." Lavrov said last week that pressing for Assad's removal would increase other threats.